And let the peace of God rule in your hearts, to which also you were called in one body; and be thankful. Let the word of Christ dwell in you richly in all wisdom, teaching and admonishing one another in psalms and hymns and spiritual songs, singing with grace in your hearts to the Lord. In life and sports, there is a saying, “Two out of three ain’t bad!” This may be true in games, but to settle for two of three of the Lord’s commands is certainly not good! With all the discussion about songs used in worship today, it is a good idea to take a detailed look at Scripture to find wisdom to guide us in understanding the songs we use. The Bible does not speak to the styles of songs but to the content and intent of them. Content—What are they and what do they say? Intent—What do they do in the worship service? While the Psalms tell us much about how we should sing and play, we turn to the New Testament for specific information about the music itself. This makes sense because the New Testament instructs us in New Covenant worship—worship in Spirit and Truth. Because of the reality of the Atonement of Jesus at the Cross and the coming of the Holy Spirit at Pentecost, this worship is different from that of the Old Covenant. Worship in Spirit and Truth is the interaction of the Word of Christ and the power of the Holy Spirit. These new dimensions focus worship on the person and presence of Jesus and infuses worship services with the power of the Holy Spirit. The forms of the Old Covenant are set on fire by the Christ-centered, Pentecostal dimensions of the New Covenant. This is of necessity reflected in the music we use. The two dimensional worship music of the Old Covenant utilized psalms and hymns. To this already powerful repertoire, the New Covenant adds spiritual songs. According to Vine’s Dictionary of New Testament Words, “spiritual” means of and by the Spirit of God. While psalms and hymns may be “spiritual” they are songs of human composition. 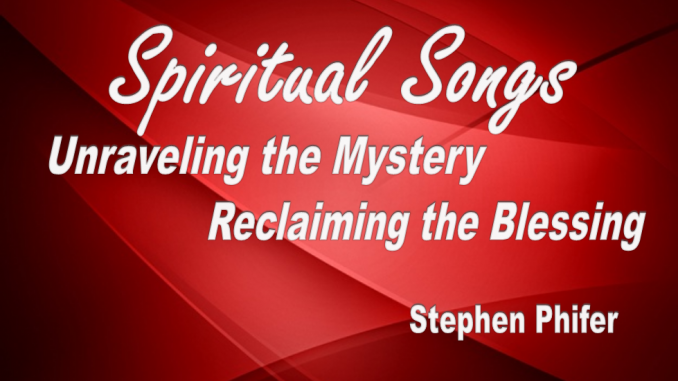 “Spiritual songs” have their origin in the Holy Spirit, not the creative souls of songwriters. And let the peace of God rule in your hearts, to which also you were called in one body; and be thankful. Let the word of Christ dwell in you richly in all wisdom, teaching and admonishing one another in psalms and hymns and spiritual songs, singing with grace in your hearts to the Lord. And whatever you do in word or deed, do all in the name of the Lord Jesus, giving thanks to God the Father through Him. Spirit – to stay filled with the Spirit, sing psalms, hymns, and spiritual songs. Truth –for the Word to dwell in you richly, sing psalms, hymns, and spiritual songs. This double emphasis elevates singing and making music to the highest degree of importance in New Covenant life. The words translated “psalms, hymns, and spiritual songs” have distinct meanings which are not up for popular ratification. In various cultures and generations these words take on meanings which do not agree with those in Paul’s mind when he wrote them. To know these biblical definitions is the starting point for understanding how to choose, prepare, and lead worship music today. We will use Vine’s Dictionary of New Testament words. I will greatly condense these detailed definitions. “psalms”– psalmos NT:5568) …”a sacred song, sung to musical accompaniment, a psalm.” It is used (a) of the OT book of “Psalms,” Luke 20:42; 24:44; Acts 1:20; (b) of a particular “psalm,” Acts 13:33 (cf. v. 35); (c) of “psalms” in general, 1 Cor 14:26; Eph 5:19; Col 3:16. We commune with God with Spiritual Songs. These definitions are the ones that count in our understanding of worship music. Psalms are more than ancient poems. Spiritual songs are more than lively folksongs. Considerations of style (tempo, structure, melody/harmony, tonal and rhythmic elements, instrumentation) are related to the time and place of the worship service. The intent or the music—to worship God—and the content of the music—the glory of the Lord—are eternal factors that are expressed in the temporary languages of worship. When Paul describes his worship methodology for us, he equates praying and singing in the spirit with praying and singing with understanding. Both are beneficial to the individual and to the church gathered for worship. Paul’s intentionality in the private and public use of his prayer language stands as an inspiration to Pentecostals today. When the church has gathered to worship there are disciplines involved that do not exist in private prayer. In 1st Corinthians 12-14, the apostle gives detailed instructions on how the Gifts of the Spirit should operate in the public worship service. In short, Paul encourages worshipers to seek the Gifts that speak to the congregation, even setting limits on the number of messages and prophesies in a given service. Any message in tongues addressed to the congregation should be followed by an interpretation. I speak in tongues more than you all. (v18) Tongues are not a gift to the weak. Do not forbid to speak with tongues. (v 39) We should cultivate tongues in worship. Singing in the Spirit is a valuable blessing to the church gathered for worship. When a composed song is finished, pause and let the hearts of the people open to something new. Present a suitable instrumental background for vocal improvisation. Encourage the people to enter in with their own new song to the Lord. Both the worship leader and the congregation follow the leadership of the Holy Spirit through the changing moods of the Spiritual Song until the time of song lifts. Never force Spiritual Song or sustain it beyond the leadership of the Spirit. A well-trained congregation senses this leadership of the Spirit. Presenting a suitable instrumental background for vocal improvisation is a particular challenge. This is called Open Worship. Neutral chords (unrelated to specific songs) are needed. If the chords of a song are used, the words of that song are also presented even if no one is singing them. A background with no word association can be created in one of three ways. The One Chord Method is to simply sustain the home chord of the last song played. This was a common practice in the early days of the charismatic renewal. This provides harmony as a basis for new melodies but does not provide rhythmic movement. 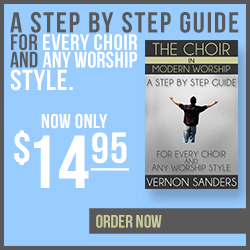 The Open Worship Chord Progression takes the accompaniment a step closer to a complete song. This method involves a short chord progression (for example: 4 measures with one chord each measure) than can be repeated effortlessly. It is important that the chords do not lead to an ending but are circular in direction. This makes for a complete harmonic and rhythmic structure for a song. All that is needed is a melody and that is supplied by the worshiper—a new song! This method was developed in the Praise and Worship renewal of the 1980s. Some songs may have open worship sections in them already and will facilitate Spiritual Songs when used in that manner. Except when used in prophetic song, Spiritual Songs do not require interpretation. This does not violate Paul’s detailed instructions about the need for interpretation because Spirituals Songs are most often songs of corporate worship or prayer. They are addressed to God who needs no interpretation. Extended congregational singing in tongues can function as a sign to unbelievers because of the intensity of the manifestation of God’s presence that comes with it. God has provided this and commanded it in the New Testament. We must trust that He has given us a good gift. Spiritual Song can be taught and experienced without the danger of excessive displays. The depth of the worship experience can increase with powerful visitations from God. More people in Pentecostal churches will actually become Pentecostal! They will learn to activate their prayer language more easily in the atmosphere that accompanies Spiritual Songs. Remember that “tongues are a sign to unbelievers!” Paul speaks of worship on an unbeliever wherein “all prophesy.” That sounds like the chaos Paul is trying to avoid. It is possible and orderly for all to prophesy when we engage in prophetic worship—worship that contains the things that are “the burdens of the Spirit. Could the wonderful promise of Paul concerning the effect of Pentecostal worship on the unbeliever really become our experience? May this always be said of our churches, “God is truly among you!” With psalms, hymns, and spiritual songs, public worship can touch heaven, bless the church and change lives.